You’ve probably heard about Cross Border Warriors by now. 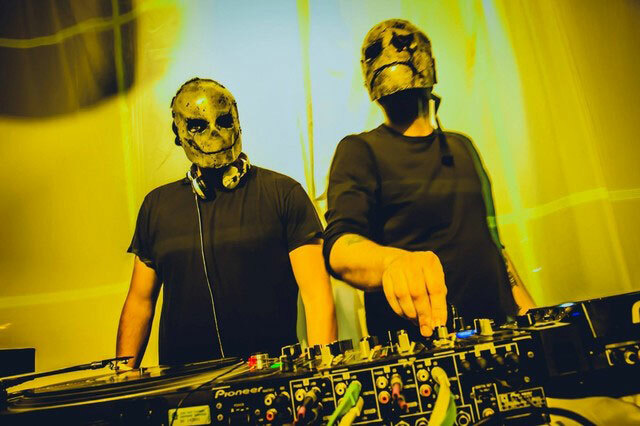 The techno outfit has been putting on shows in the Dallas area that have garnered praise from all corners of the North Texas underground scene and gathered a following of dedicated fans. They’re the guys who help put Dallas on the map by bringing big artists like Deborah De Luca for their area debuts. For a crew that’s gotten such a large reputation, you’d think they’ve been around for a while. But, in fact, they’re only celebrating their second anniversary. And what a birthday party they’ve got planned. Or rather, it’d be more accurate to say: birthday parties. That’s because, throughout the months of August and September, they’re throwing seven birthday parties. The first one, a banger with Prok & Fitch and Gabriel I headlining, took place August 4th. But there are still plenty more to catch. 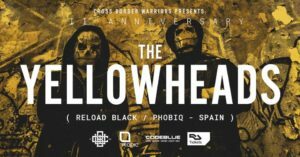 The next one will feature The Yellowheads, a techno crew that fuses the disparate musical interests and tastes of its parts to create a greater sum of the whole. 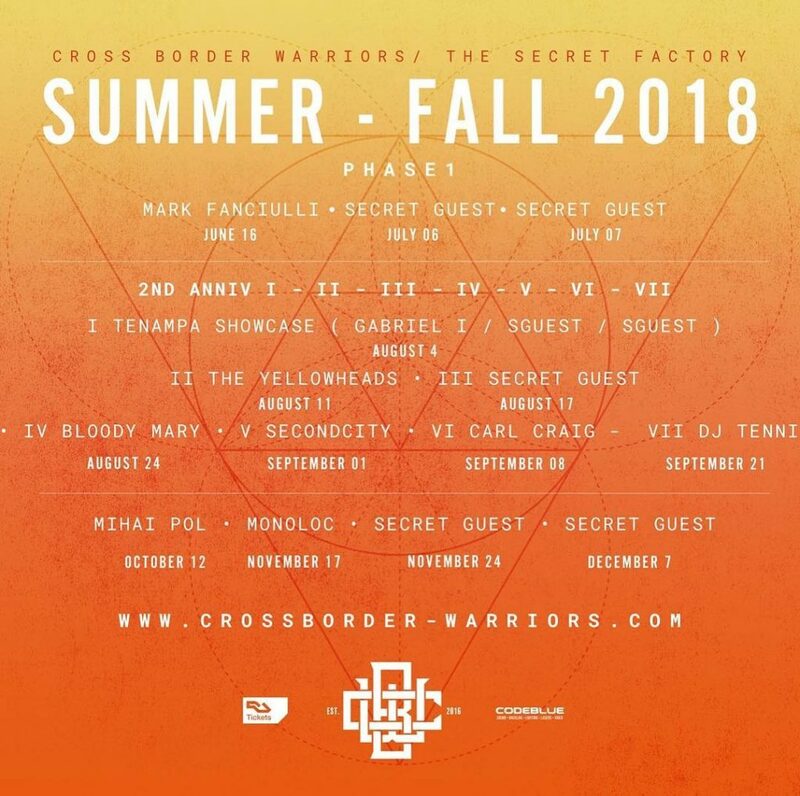 You can catch that show, and all the others coming for the second anniversary, at The Secret Factory in Dallas. And stay tuned because even when the anniversary celebration is over, these guys are still working hard to keep bringing more great music to Dallas throughout the rest of the year. August 25th, 2018 | Bloody Mary + Agent! Previous articleHoly cow, it’s New Music Friday! Next articleCan the background music at a restaurant affect how the food tastes?